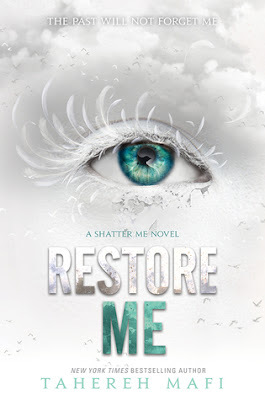 just to refresh the story in my mind before Restore Me is released in March! I have to admit that I'm pretty curious about this new book, especially since I thought the story was over when Ignite Me ended. I was really surprised to see that there would be three new books in this series. And, I really, really hope that Kenji is in these next few books. I really loved him in the previous ones! Cannot wait to read this one either!! I NEED THIS BOOK LIKE AIR !!! Kenji is a total sweetheart <3 ! What a great pick, Christy! I haven't read the Shatter Me series in quite a long time, but I loved it when I did. I don't know if I would love it now, but I'm definitely reading Restore Me. I also want to see more on Kenji! He was one of, if not the, my favorite characters. I'm looking forward to reading this new book! I wasn't at all surprised to see that there would be more books in the series. Hopefully the ship doesn't change though. ;) I hope you enjoy it when you get the chance to read it!